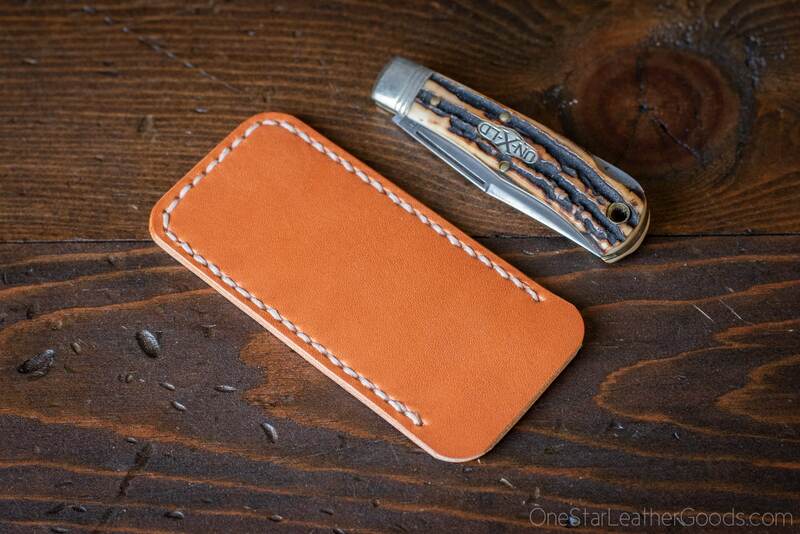 A simple knife slip case to protect your pocket knife. 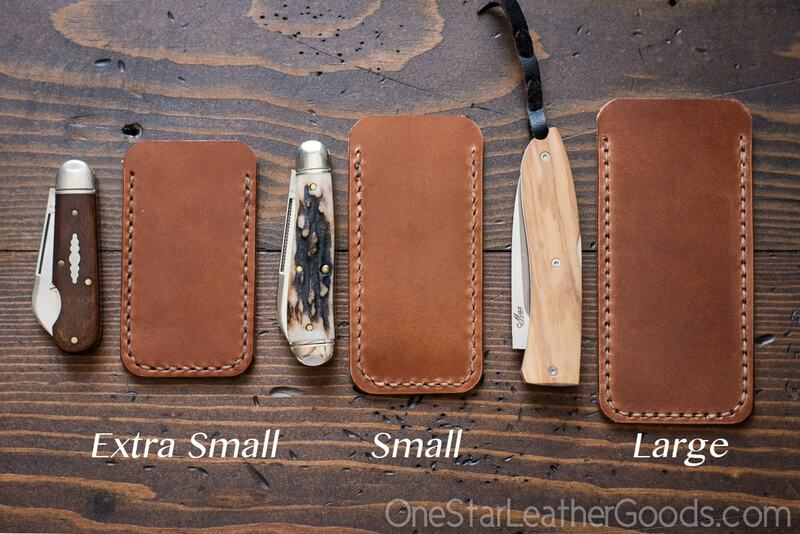 Works great with Great Eastern Cutlery traditional slip joint knives and others. 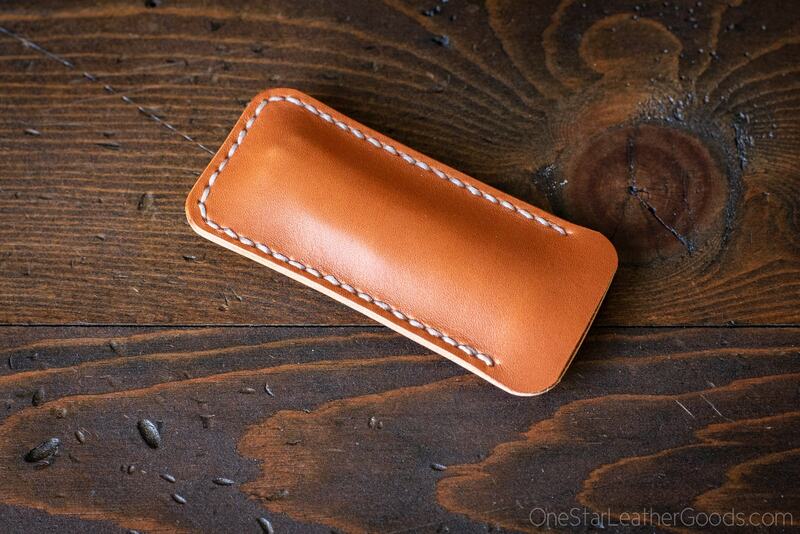 After you use this slip for a while it will mold to the knife inside. 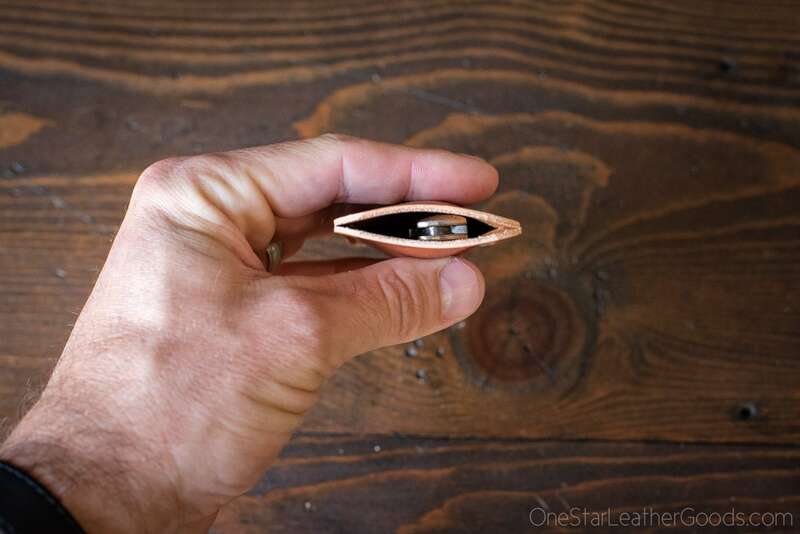 The slip starts flat as a board, but quickly will hold the shape of your knife. Squeezing the sides gentle releases the knife. 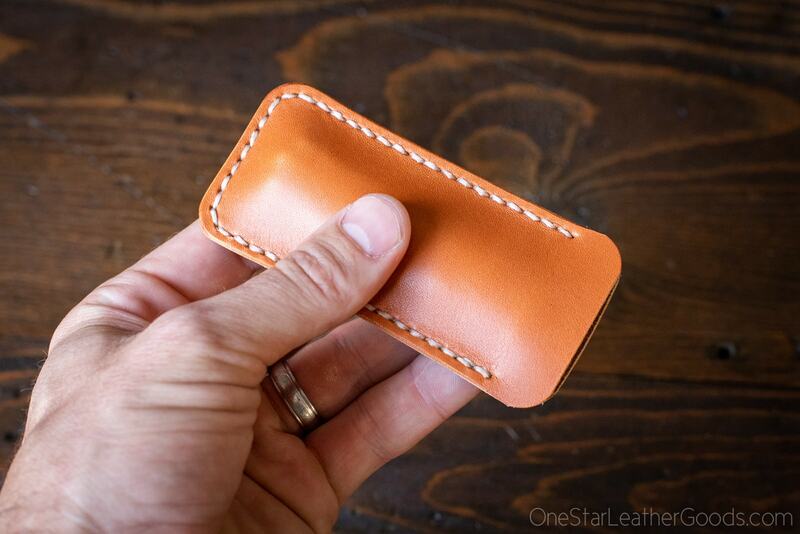 We make these from Horween shell cordovan leather as well. Get in touch if that interests you. Superior materials; perfect workmanship; excellent fit; great value!